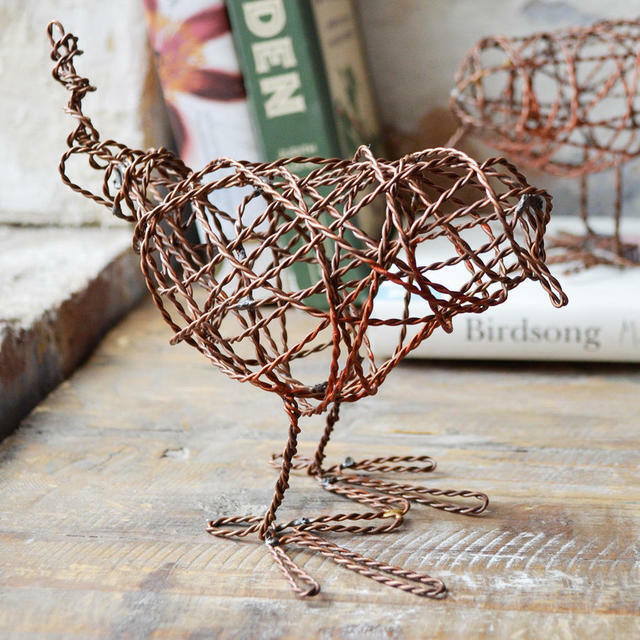 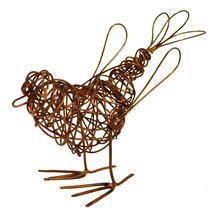 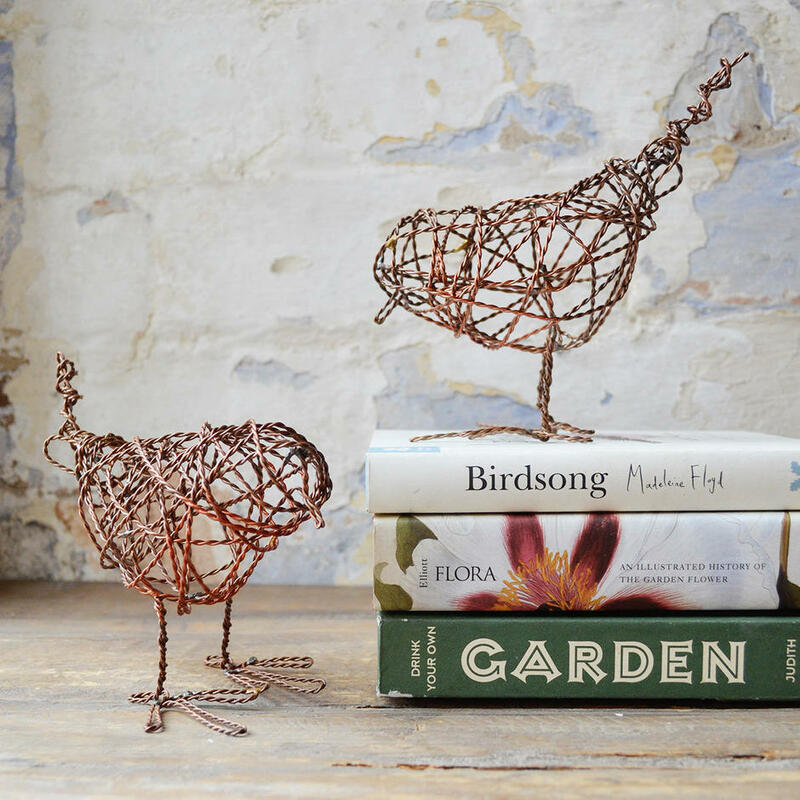 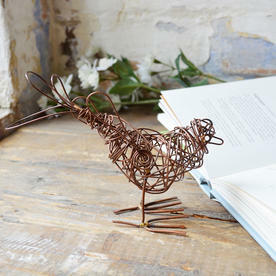 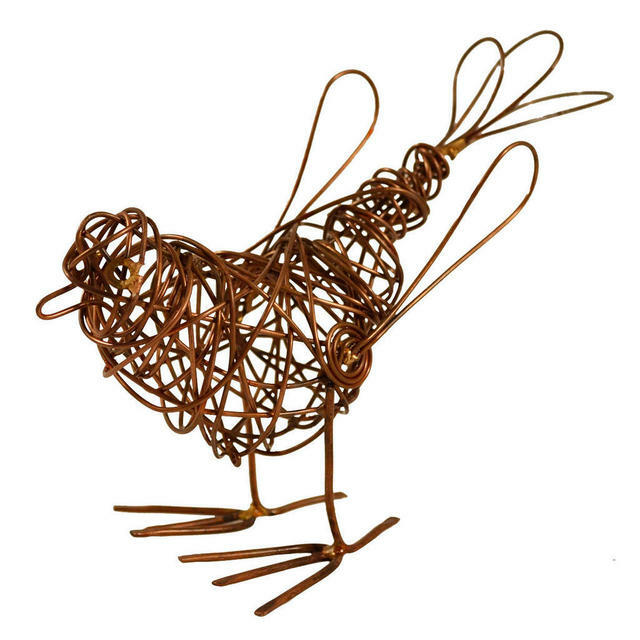 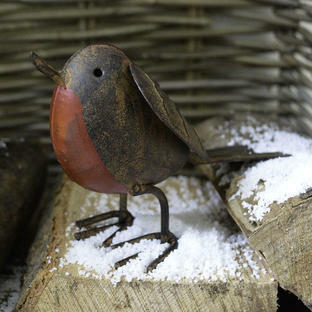 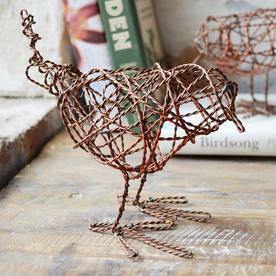 Add a little style to your garden with some gorgeous copper woven birds. Delightfully abstract robin sized copper woven birds who are happy to perch in the garden or on a window sill. 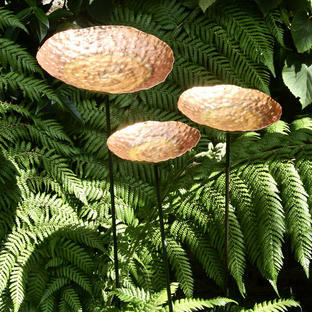 As happy inside as they are outside. The single bird has an elegant fantail, rather reminiscent of a wagtail. 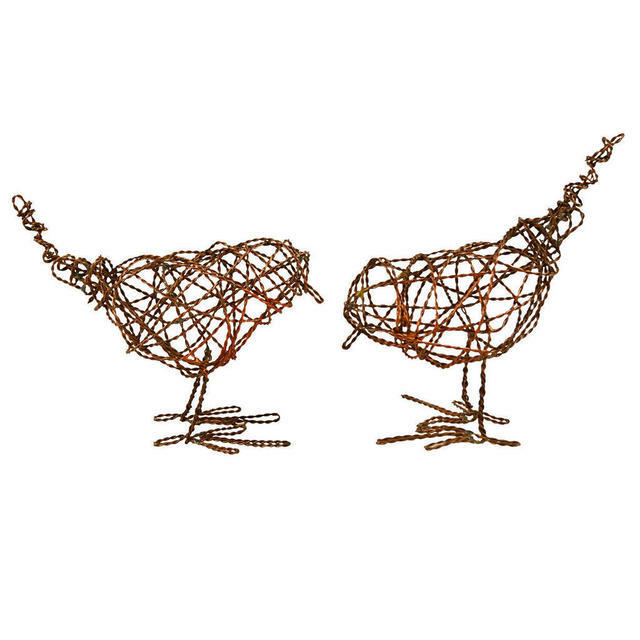 The pair of birds are made in twisted wirework and are reminiscent of a redbreast robin. 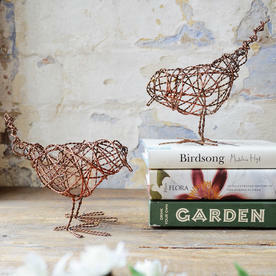 Try perching them on one of the copper dish sculptures, see here to order. 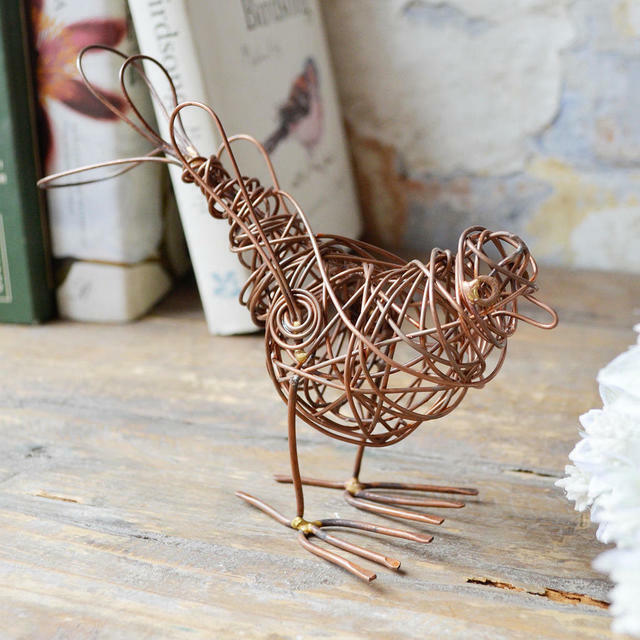 Made in woven copper or twisted copper. 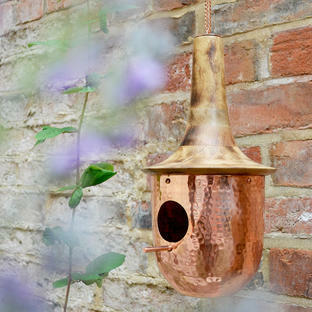 Copper will verdigris over time to a grey/green patina, but you can clean with copper cleaner if you wish to keep the copper shiny.